Thank you for commemorating the successful Orion Test Flight with us. Thank you for contacting us during our Orion Special Event Station, on Saturday December 6, 2014. We commemorated the successful EFT-1 test flight of the Orion spacecraft, which flew the previous day. Thank you also for sharing your thoughts about the United States Space Program, and for expressing your support and pride. We operated with our club call sign WA4NZD. We logged about 230 QSOs, most on 20 meters SSB. We tried 10 and 15 meters, but didn’t get much traffic. We tried a few digital QSOs, most on 40 meters RTTY. Our operators were KB5EZ, KK4IKR, N4CNY, and WA2JQZ. If you contacted us, QSL via Logbook of the World and eQSL. Paper QSL cards are available with a business sized SASE to NN4SA MSFC Amateur Radio Club, c/o Donald Hediger, ES32, NASA MSFC, Huntsville, AL 35812, USA. Our email contact address is wa4nzd/at/gmail/dot/com. Paper QSLs were mailed at the first week of February 2015. The Orion completed a successful test flight on Friday December 5, 2014, with a splashdown at 10:29 Central Time. 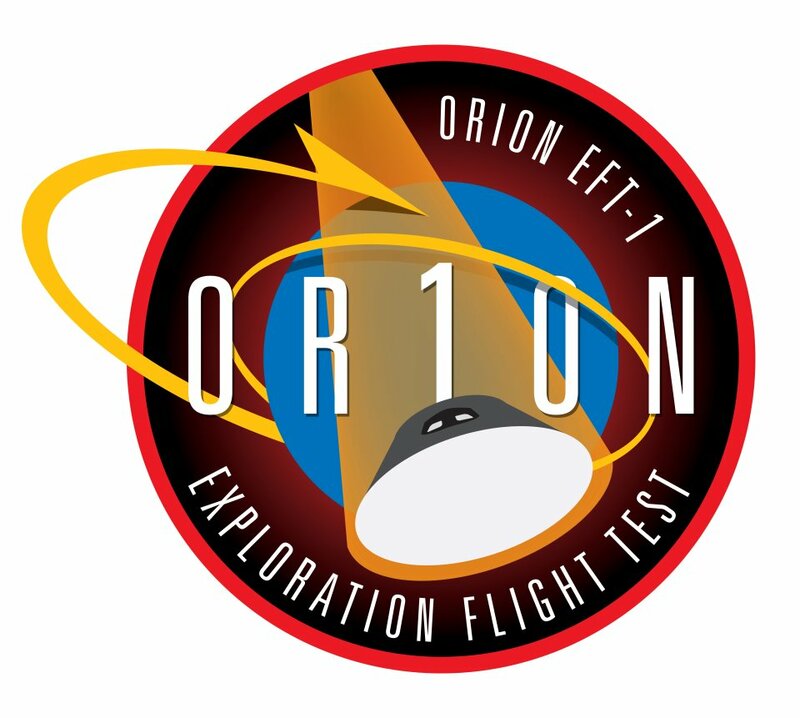 The Exploration Flight Test 1 (EFT-1) was designed to test the Orion spacecraft and its systems, especially its heatshield for re-entry. The flight lasted four hours, and made two Earth orbits. The second orbit was highly eccentric, which enabled a high speed re-entry comparable to returning from deep space missions. EFT-1 is the opening test flight that will eventually lead to operational missions with the new Space Launch System (SLS) heavy lift launch vehicle. The Space Launch System is now being developed and built at the NASA Marshall Space Flight Center. Some components of the Orion test vehicle were designed and tested at NASA Marshall. The next flight of Orion will be aboard the Space Launch System, at this time scheduled for about 2018. The Orion spacecraft is managed by the NASA Johnson Space Flight Center in Houston, Texas. 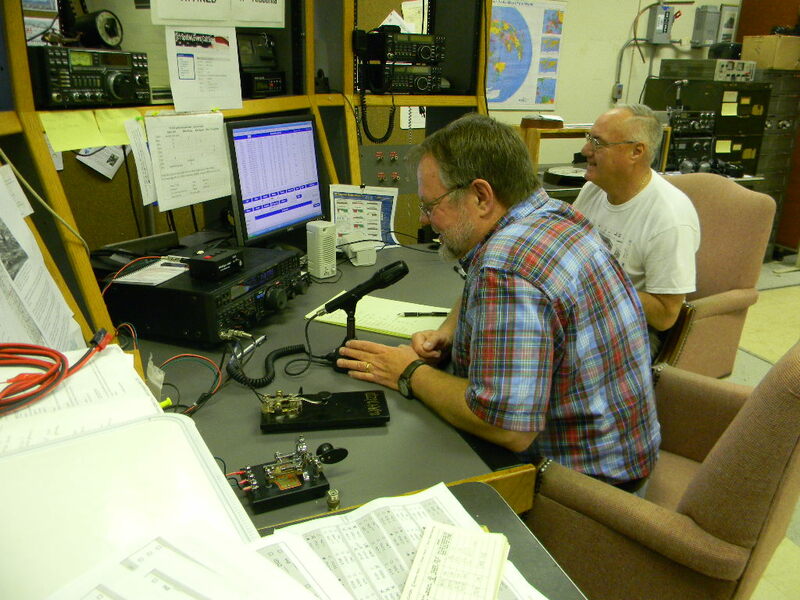 Rob KB5EZ and Dave KK4IKR operated for our Orion Special Event Station on Saturday morning on 20 meter SSB. John N4CNY and Gary WA2JQZ (not pictured) operated during the afternoon. We are planning to run a brief Special Event Station to commemorate the first test flight of the Orion spacecraft. As of this writing, the scheduled launch date is December 4, 2014. It is possible the flight could be delayed. We plan to operate our special event on the first full Saturday, central time, following a successful flight. (That is, if a successful flight occurs on a Saturday morning or afternoon, central time, we will operate the following weekend on Saturday.) We will post future announcements and details about our special event on our QRZ page http://www.qrz.com/db/WA4NZD, and on our website here, once we are ready to proceed. We will operate with our club call sign, WA4NZD. This flight is designed to test the Orion spacecraft and its systems, especially for high speed atmospheric re-entry from interplanetary space missions. The flight will last four hours, and make two Earth orbits. The flight is officially named Exploration Flight Test 1. It is the opening test flight that will eventually lead to test and operational missions with the new Space Launch System (SLS) heavy lift launch vehicle. Some components of the Orion test vehicle were designed and tested at the NASA Marshall Space Flight Center. This is a 10 minute briefing excerpt by Mike Sarafin, NASA Lead Flight Director for the Orion test at JSC. The video illustrates in more detail the flight mission activities. This is part of a fuller one hour NASA briefing, which we also linked to below. This article in November’s AIAA Aerospace America highlights some design issues for the Orion EFT-1 test flight. This is a full version of the pre-mission news briefing at Kennedy Space Center. With William Hill (Dept. Assoc. Admin. for Exploration Systems Development), Mark Geyer (Orion Program Manager), Bryan Austin (Lockheed Martin Mission Director), Mike Sarafin (Orion Flight Director), Jeremy Graeber (Orion Recovery Director), and Ron Forston (United Launch Alliance Director of Mission Management). You can follow NASA’s Orion Blog. The Marshall Space Flight Center Amateur Radio Club (MARC), WA4NZD, will operate a Special Event station to commemorate the successful EFT-1 test flight of the Orion spacecraft. Operation will be on Saturday December 6, 2014 (Central Time) throughout the day, using the club call sign WA4NZD. We will be self-spotting on the DX cluster — look for “WA4NZD SE Orion Flight Test“. We will operate on various bands and modes, depending on favorable propagation conditions. We expect to operate on 20 meter phone. We probably will operate on other bands, on phone and digital modes, at the discretion of our operators. QSL via Logbook of the World or eQSL. Paper QSLs will be available with a business sized SASE to WA4NZD MSFC Amateur Radio Club, c/o Donald Hediger, ES32, Huntsville, AL 35812. Check http://wa4nzd.wordpress.com or WA4NZD on QRZ.COM for updated announcements. The Orion completed a successful test flight on Friday December 5, 2014, with a splashdown at 10:29 Central Time. The flight was designed to test the Orion spacecraft and its systems. The flight lasted four hours, and made two Earth orbits. The second orbit was highly eccentric, with an apogee of 3600 miles, which enabled a high speed re-entry comparable to returning from deep space missions. The flight is officially named Exploration Flight Test 1. It is the opening test flight that will eventually lead to operational missions with the new Space Launch System (SLS) heavy lift launch vehicle. Some components of the Orion test vehicle were designed and tested at the NASA Marshall Space Flight Center. The next flight of Orion will be aboard the Space Launch System (SLS) being built by MSFC. NASA 10 minute video of Orion’s view of reentry. The Orion Human Factor, pages 26 – 31 in AIAA Aerospace America magazine, April 2015.